This is part 3 of my series on building a contact form with Ruby on Rails 5. This part will focus on forwarding received messages to my private email address. There is a Github repo for this tutorial, and you should probably read part 1 and part 2 before attempting to follow any further. In part 2 we built the controller and view for our contact form, so visitors can send messages to our website. Now we are going to learn how to forward those messages on to a private email address. Now that we have a working model, view and controller, we need to configure this app to send emails. This creates a class named MessageMailer, found at app/mailers/message_mailer.rb, containing an action named contact_me, and a few other useful files. Pfft, it looks like there's a lot going on there, but it's actually quite simple, so allow me to explain. We begin by creating a Message from my friend Anna, whose email is [email protected], which we pass, as an argument, to the contact_me method of our brand new MessageMailer class. The result is stored as a local variable named email. Then, from within an assert_emails block, we call deliver_now on our email, and make sure that exactly 1 email was queued. Finally we make some assertions about the email. Ahh, the MessageMailer#contact_me method, which was generated by Rails, does not take any arguments yet, and we are trying to pass a Message object in to it. That's better, our method now takes 1 argument called message. Incidentally, the code inside the contact_me method was added by Rails, leave it there for now, we'll fix it up in a moment. This failure message is happening because one of our assertions specifies that the subject of the email should be "Message from www.murdo.ch", but Rails has set it to "Contact me". There are other ways to set the subject of an email with Rails, but I prefer this approach as it keeps my mailer files cleaner and easier to look at. Rails is complaining because I have asserted that the email should be sent to [email protected], my private address, but it is going to [email protected]. Change the contact_me method to mail [email protected], or whatever address you want your messages to be forwarded to. Hint: you probably want to use your own personal email address here. OK, Rails is complaining because I have specified that the email should be from [email protected], but it's from [email protected]. Do you understand what we did there? We're telling Rails to make sure the email it sends to [email protected] is from the email address used to create the Message, in this case [email protected]. We've create a new instance variable, called @body, to store the body of the message that Anna sent us. Now our test will pass! You can also go ahead and remove the @greeting variable from the contact_me method if you like as we are no longer using it in our views. And your view files should simply reference the @body instance variable from the contact_me method. So we've got a working Mailer class that sends emails, and now all we need to do is configure Rails to call it whenever the user submits a valid message. Let's start off with a test. Do you get what we're doing here? 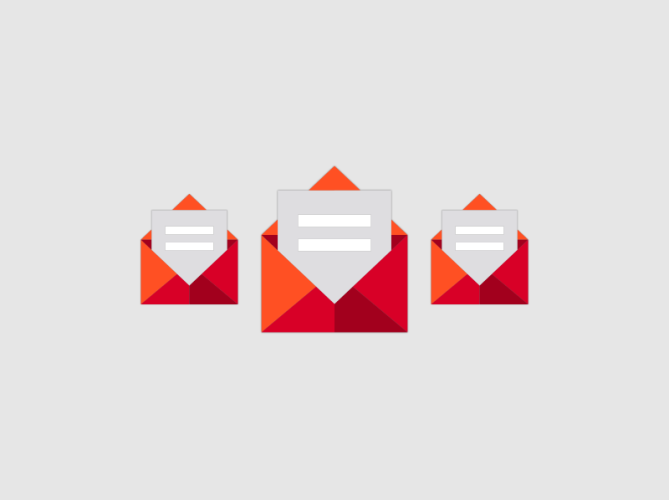 We are asserting that a successful post to the create_messages_url route should increase the size of the ActionMailer::Base.deliveries array by 1, indicating that an email was sent as a result of the action performed. This test fails when we run bin/rails test:controllers because our messages controller has not yet been instructed to invoke the Mailer, therefore the ActionMailer::Base.deliveries array will be empty. "ActionMailer::Base.deliveries.size" didn't change by 1.
redirect_to messages_new_url, notice: "Message received"
In case it's not clear, we have instructed Rails to call the Mailer if the message received from the user is valid. With this in place our controller test will pass when we run it. Now start the server with bin/rails server and visit http://localhost:3000/rails/mailers/message_mailer/contact_me to see what your email will look like. Well we have an awesome contact form, that works in development and test environments. Getting it into production is another matter, and one that depends entirely on your hosting setup. I may write about that later on. There's a lot you could do from here, like adding Ajax and client side validations using something like Zurb Foundation's Abide plugin, and maybe I'll write about those things later on too. I hope you found this tutorial useful, please let me know if you encountered and bugs or typos as I've likely made a few. You can get me on [email protected] or through my own contact form.